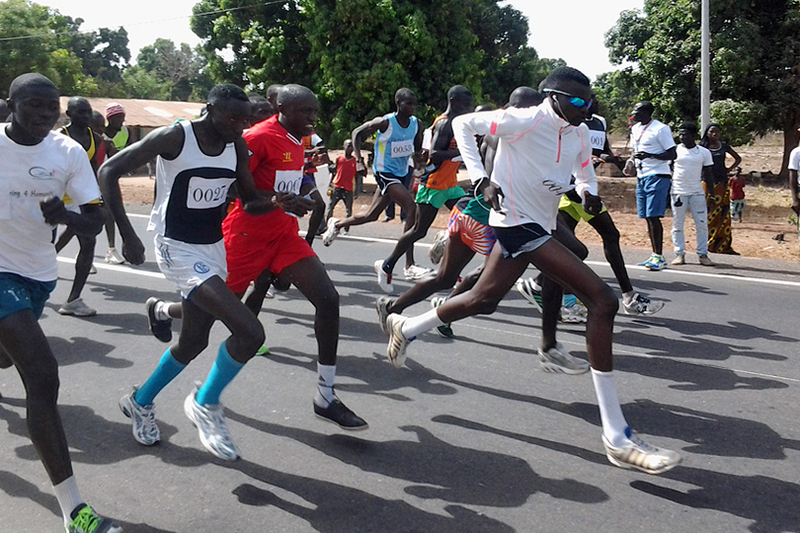 Saturday 15th April 2017 is set for the 23rd edition of the famous Brufut Marathon Run. The general public especially our reverend athletes and aspiring long distance runners,are hereby informed of the date set for the 23rd edition of the famous Brufut Marathon Run(15th April 2017). The theme for this year is Environmental Preservation. 5 Corporate Institutions(one to ten members) D1500. The country’s leading marathon organizer will like to use this opportunity to apologize for any inconvenience caused by the date changes imposed on us by the recent political impasse. We assure our unflinching commitment and dedication towards making Brufut Marathon Run the best in The Gambia and in the sub region. We therefore,call on the general public,philanthropists and institutions to join our efforts in both organizing one of the greatest sporting events in the country and contribute to the empowerment of youths and the most vulnerable members of our community. For further information contact the Secretary General on 7262945/6138706/9437352.